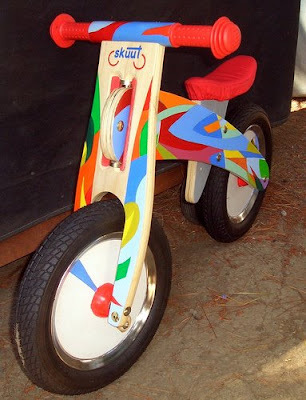 I came across these cool pictures of Skuut Balance bikes which look like they were personalized by some people with talent! 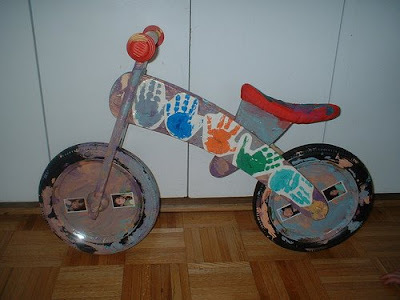 Now everyone may not feel they are this artistically inclined – but there are many ways you can decorate your own balance bike. 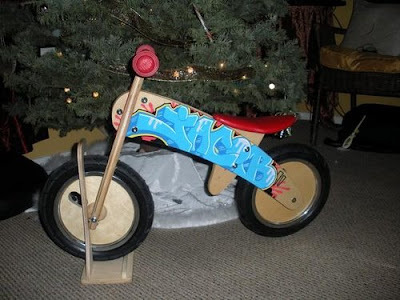 You can purchased templates from a place like Michaels Arts and Crafts store or online with the letters of your child’s name – tape them on the bike and spray paint or brush it on. Then spray a clear laquer paint over your design to preserve it! There are also a lot of decals around (like wall paper decals) that kids use for their rooms which would probably work as well. I think I’m going try one out myself! Check out our website to purchase your skuut today! http://www.kidsbalancebikes.com/. Don’t forget your coupon code SAVE5 to get $5 off any bike purchase! Previous post: Flash back to winter 2008 Strider riding under cover!